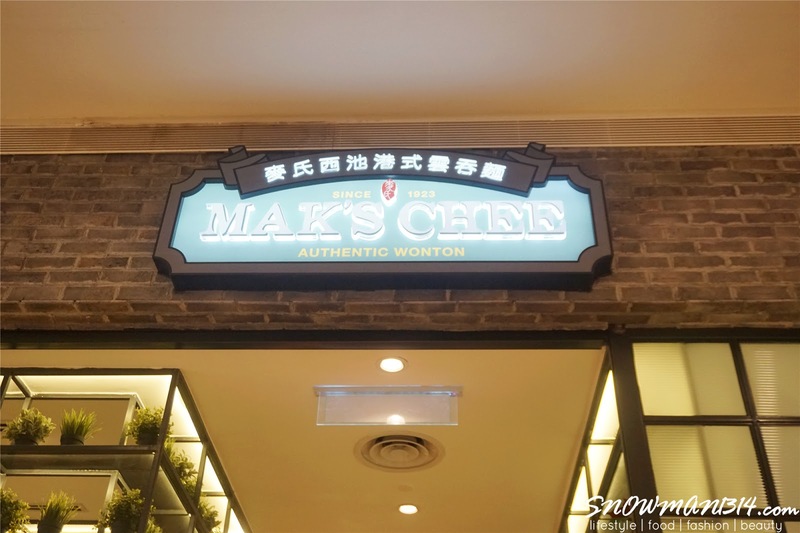 Mak’s Chee, the casual quick restaurant serving authentic Hong-Kong-style prawn wonton noodles, famous with its 100-year old recipe from the Mak’s Family is set to finally open its second outlet at Pavilion Elite, a new wing of Pavilion Shopping Mall to the public on 1st May 2017. 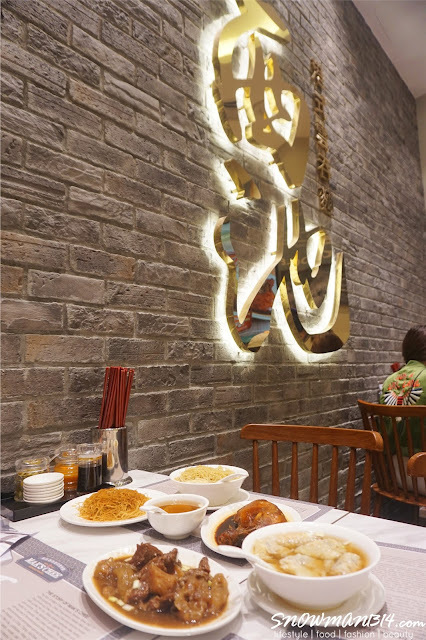 This is following the huge success of its first outlet which was opened at 1 Utama last year. Congrats on the second outlet at Pavilion Elite, KL. Now Mak's Chee is set to tantalize busy professionals, tourists & families with new delectable, authentic Hong Kong food around KL town! Thanks to Mak's Chee we are able to enjoy some of their signature serving from their menu too. Time to indulge in all of their delicious serving. 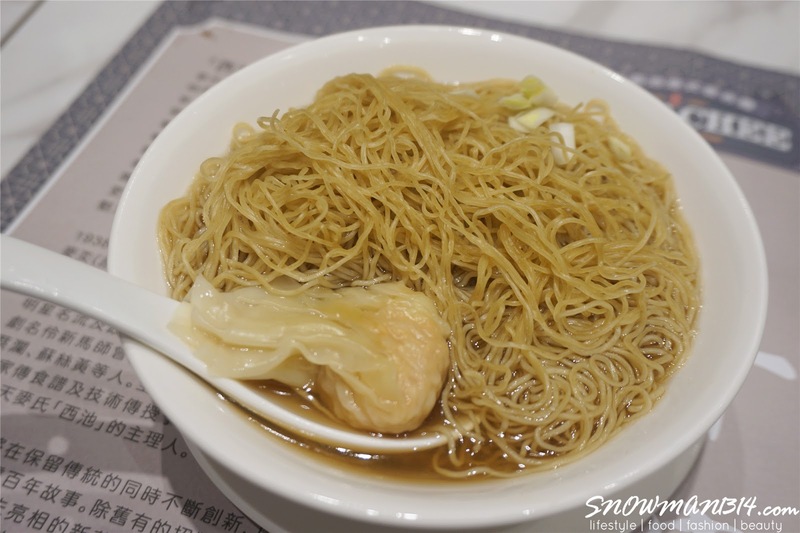 Mak's Chee is famous for their authentic Hong-Kong-style prawn wonton noodles. You can choose from dry noodles or in soup base too. 2. Pour your favorite sauce onto the spoon. 3. Dip your noodle or wonton in the sauce for every bite. 4. 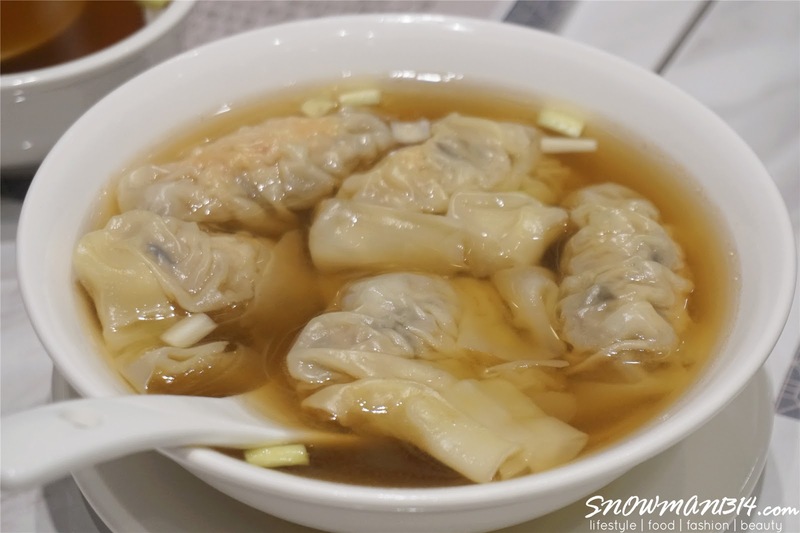 Enjoy the authentic Hong Kong Wonton Noodle with the sauce. 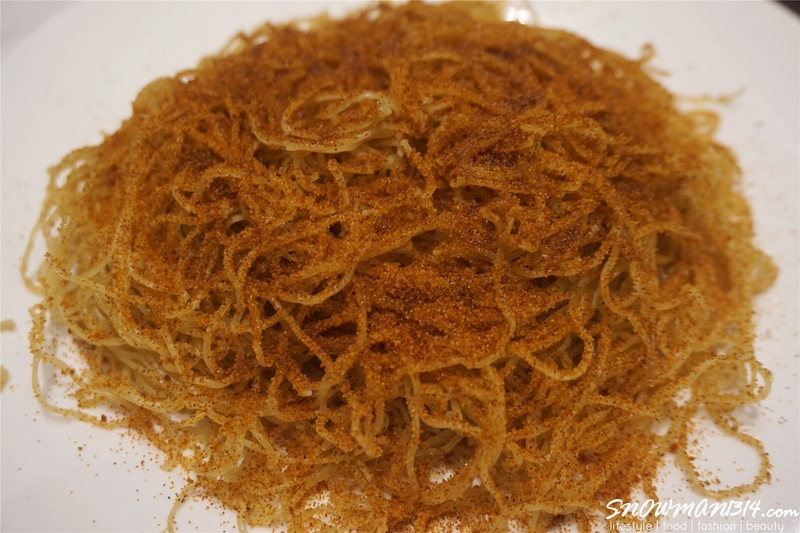 Each of their dry noodles is mixed with our special soy sauce moderately to bring out the flavor of our homemade noodle. Every dry noodle comes with a small bowl of soup. 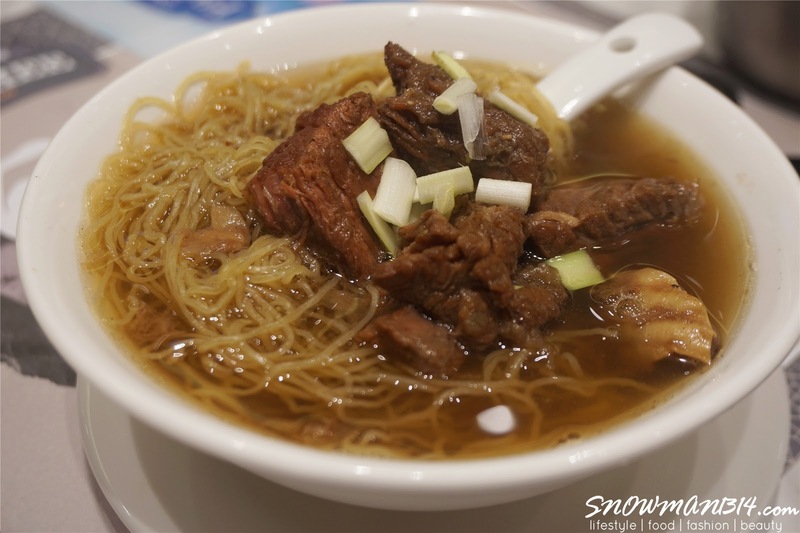 As for soup noodles, all of their noodles are very fine and served with hot soup. If you wish to have the chewy and slurpy taste of the noodle, be make sure to consume it immediately. I can't really say how much I enjoy their wonton so much. 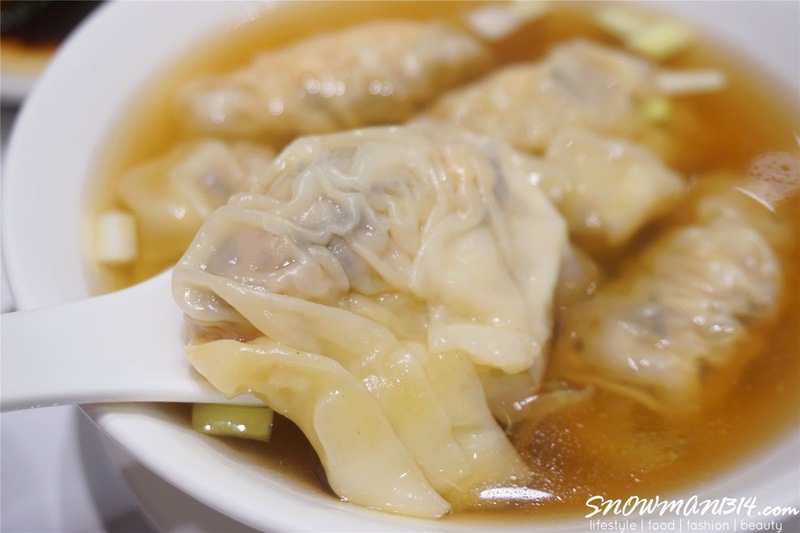 No matter if it's in steam or it was in deep fried, the fullness of the wonton is so fresh and satisfying too. Deep fried wonton taste really good too that order 2 plates of the deep fried wonton. 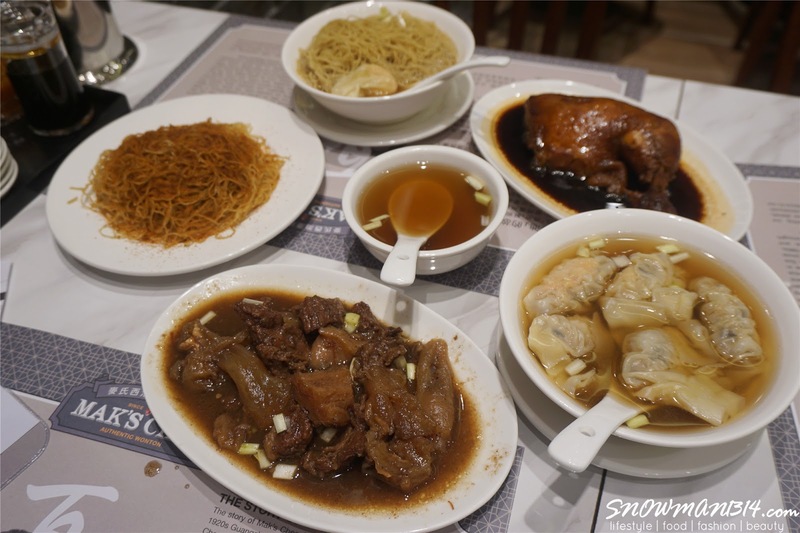 Besides for their wonton and wonton noodles, these braised beef tendon and brisket are recommended to order too at Mak's Chee. 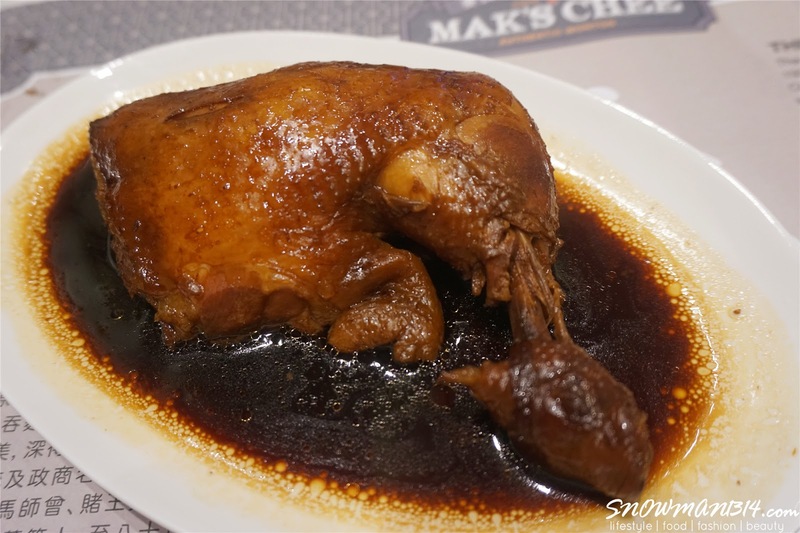 Although the taste of their serving is not too heavy as our local one, but if you prefer to have it more light and yummier way, you can always go for it at Mak's Chee. Not to mention that I actually like how Hong Kong style serving in Mak's Chee. I love how we can order dish and noodles separately means in ala carte style. 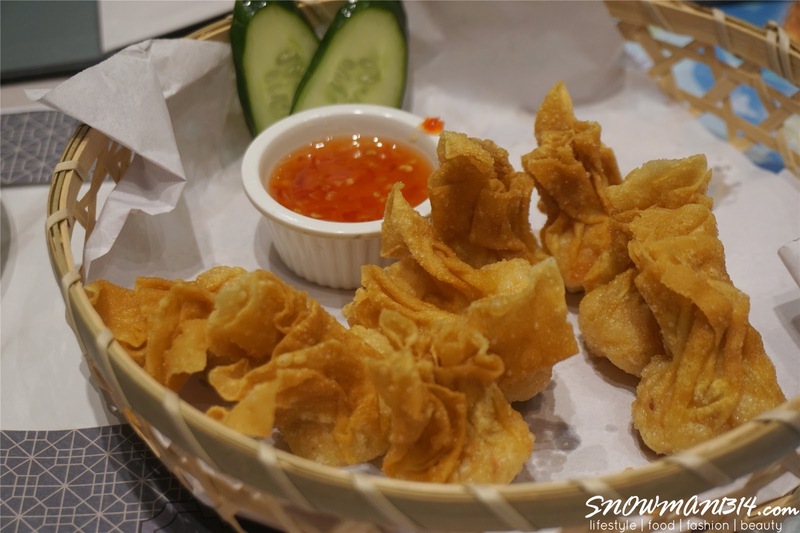 Not like the normal wonton style, we have it here, only comes in wonton noodles, wonton and vegetables/char siew. But in Mak's Chee you can order beef tendon, deep fried wonton, soup wonton, vegetables in ala carte style base on your liking. Sharing with friends and family is always the best too! If you are bored for milk tea drink, why not just go for this Lemon Water Cress Drink! The taste is so refreshing and light. 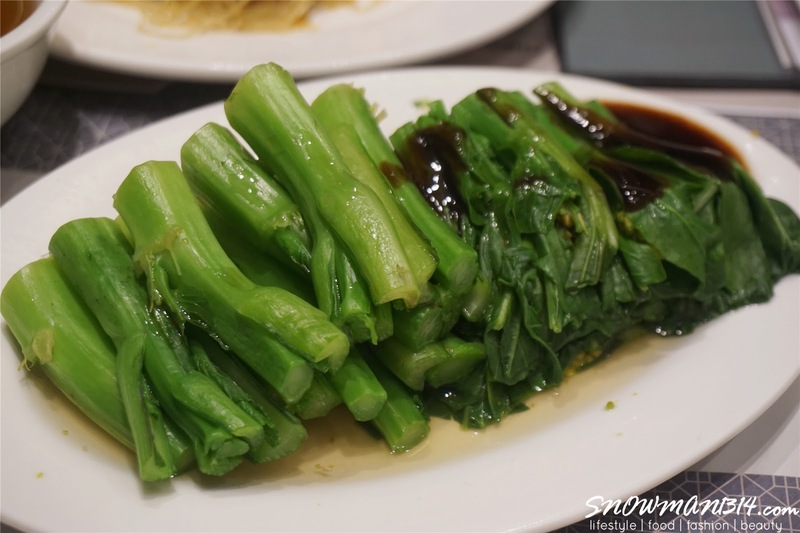 I kinda hate cress leaf and totally cannot accept the weird and strong taste of it. 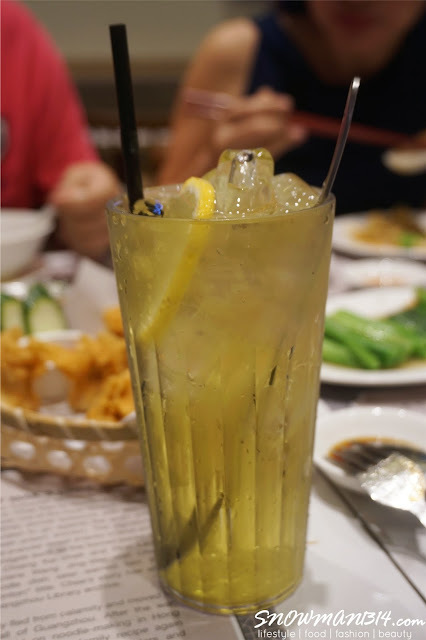 But after I drink this Lemon Water Cress Drink, I totally into this really refreshing and yet unique light taste of the drink. 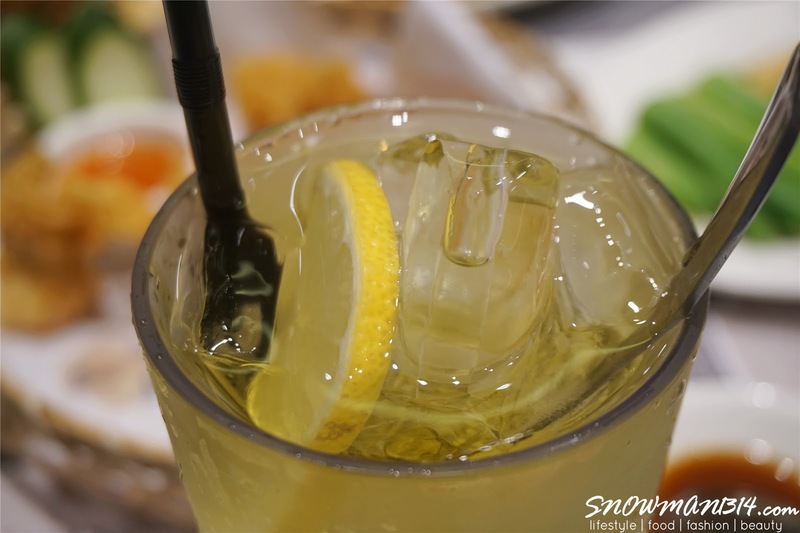 Champion Milk Tea on Bed of Ice one of their signature drink at Mak's Chee. Can't tell you guys how addicting is it that we drink up two bottles of it. 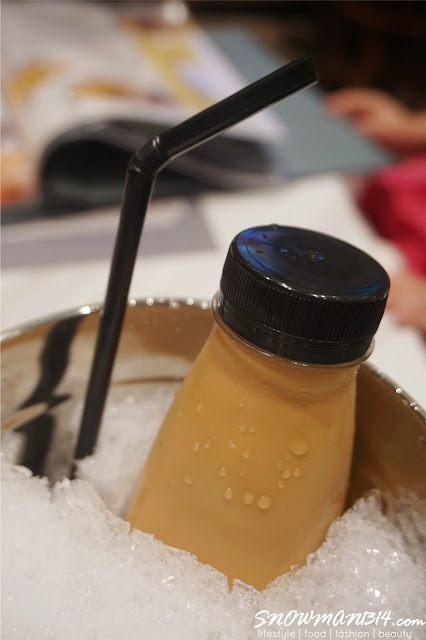 The size of the drink is not too big too, which is just the right size to enjoy milk tea! 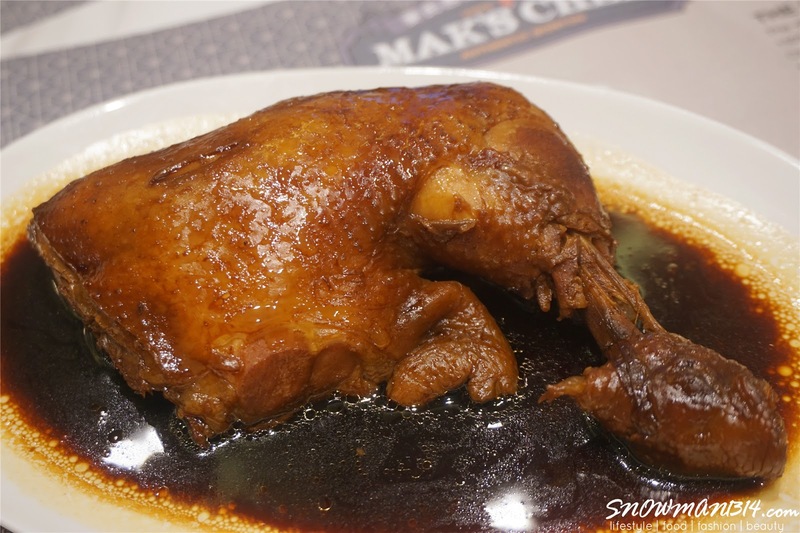 According to Mr. Gary Crestejo, Managing Director of Mak’s Chee, Swiss Chicken Leg is a specialty of Hong Kong food culture. 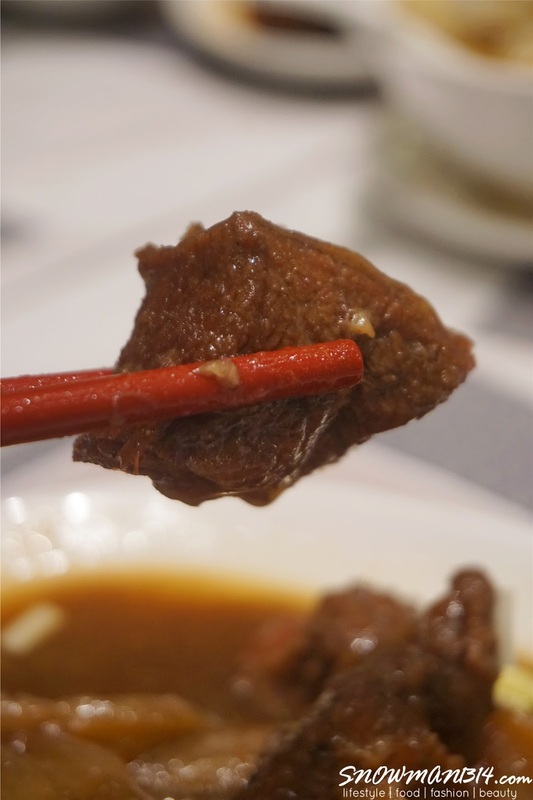 It is slow-cooked with sweet soy sauce and a variety of herbs and spices. 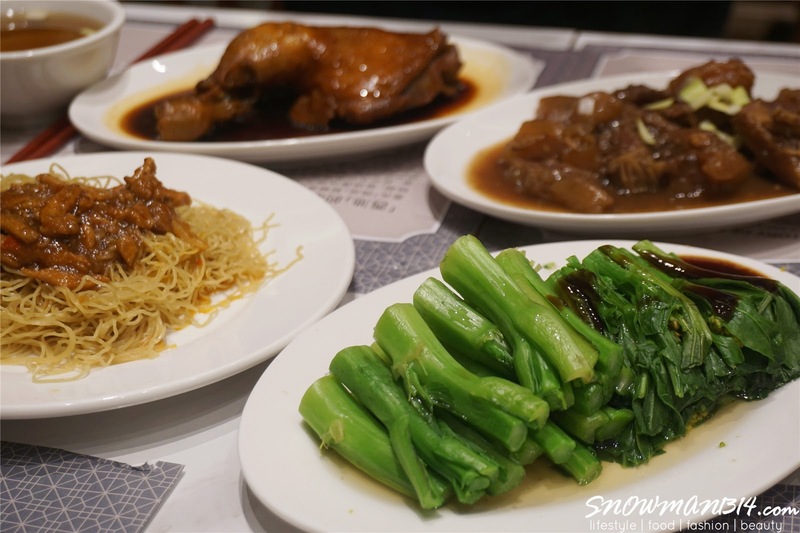 Despite the name "Swiss," it is unrelated to Switzerland and was indeed a local Hong Kong recipe. With a slow cooking process, the chicken is still at it best juicy and tender moments. 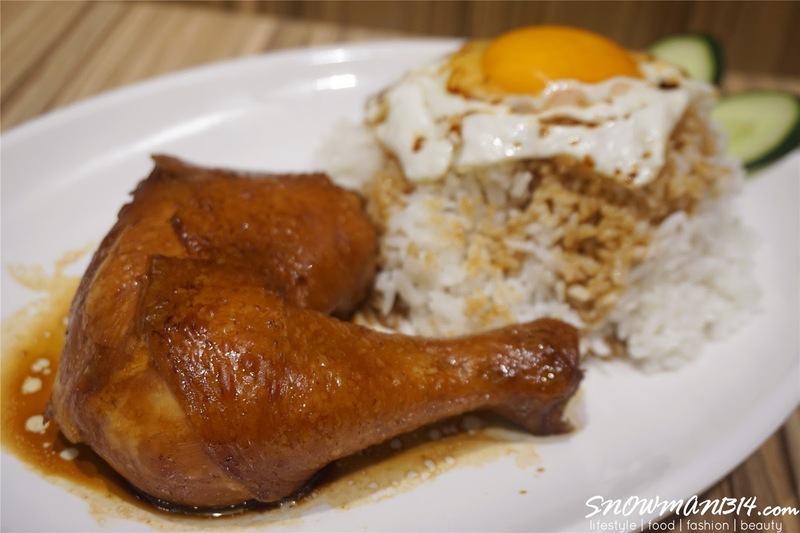 The sauce is well blended and penetrates to the chicken, which lifts up the sweet and freshness of the chicken itself. This promotional dish is now offered at an introductory promotional price starting from RM9.90 per plate from 4th May to 31st July 2017. 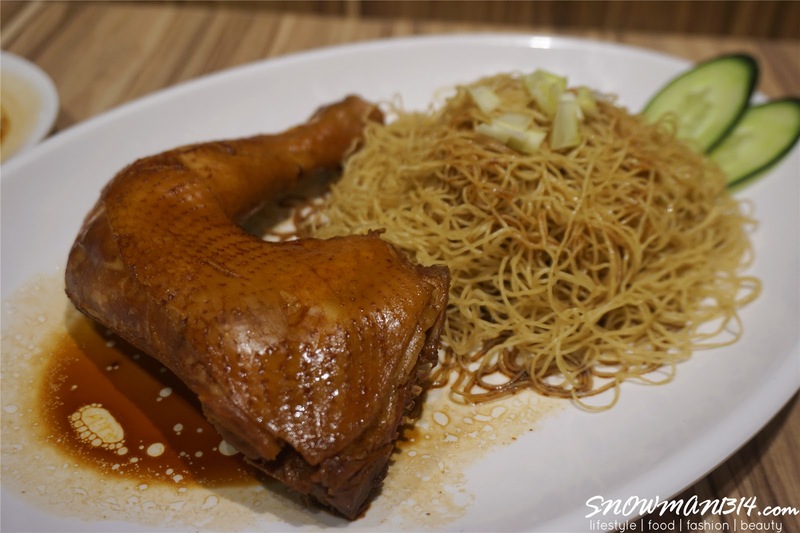 There will be three options to choose from Original Swiss Chicken Leg, Swiss Chicken Leg Rice with Sunny Side up Egg and Swiss Chicken Leg Dry Noodle that will definitely tease the taste buds of discerning food lovers. Said Gary, “We are retaining our quick casual dining concept as we know busy professionals are always rushing for time, but for going on food quality should never be an option.” Mak’s Chee Pavilion Elite outlet targets at working professionals, tourists, and families within proximity of KL’s central business district. 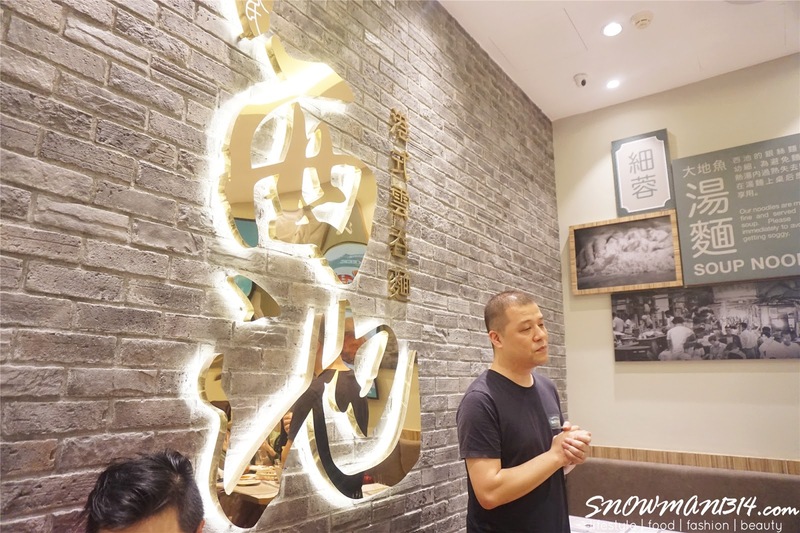 “I am very thrilled with the support we received especially from the Hong Kong food lovers in Malaysia which have driven us to the opening of this second outlet. With our presence in central city location such as Pavilion Elite, we are confident in expanding our reach and presence in Malaysia,” he added. To celebrate the opening of the Pavilion Elite outlet, Mak’s Chee has kick-started a contest to offer the public an opportunity to win the Grand Prize of a round-trip to Hong Kong for two, inclusive of flight tickets, accommodation, and admission tickets to Hong Kong Disneyland in a digital contest beginning from 5th March to 15th May 2017. 2. Share the Contest post here and Tag 5 friends in the comment box. 3. Finger Crossed and wait for the winner announcement. The Grand Prize winner will be selected randomly and announced on 20th May 2017 at Mak’s Chee official FB Page. Not only that there will also be 100 consolation prizes of Mak’s Chee food vouchers that await its customers. Do remember to participate now! I can't take the wanton noodles but guarantee I will sapu all the rest of the food. You are just making me drool. I am making my way to Pavilion next! so yummy just see the pics, I wanna go try out. I wanna try them out ask my dear tomorrow go! 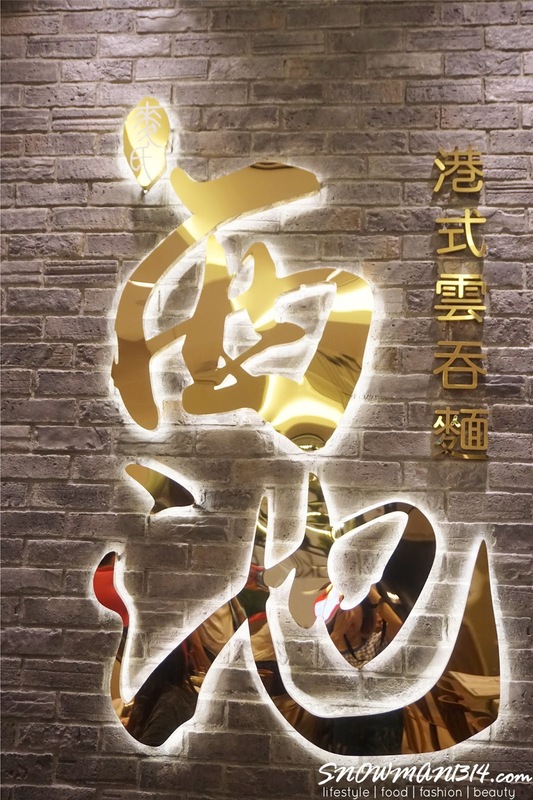 The food looks great and the promos are tempting, will check it out when I'm in Pavilion. I was invited to this food review but too bad I couldn't make it. The wanton looks so delicious.